It’s a common misconception that once you have your trademark registered nothing more is required. The reality is that if you stop using your trademark it could be vulnerable to removal for non-use. If you have had your trademark registered for the last five years or more, but it has not have been in use for three continuous years another person can apply to IP Australia to remove your trademark registration by means of a non-use application. Your trademark needs to be used correctly, maintained and monitored to avoid the risk of losing it. Failure to use the mark that you have registered correctly and in relation to the goods/services covered could see it vulnerable to removal. If your business activities change, it is wise to file fresh applications to cover new products or services to ensure protection. If your mark changes, for example, you have a new logo designed, a fresh application should be filed to protect the new trademark. It is particularly important to note that if the user of the trademark changes this could impact a registered mark. For example, if you register a trademark initially as a sole trader and later incorporate a company, which is then the user of the mark, it is a good idea to ensure that the trademark owner (e.g. you) is able to rely on use of the mark by the company in defending a removal application, or, consider updating the ownership to the company. When using your registered trademark, you may use the ® symbol alongside the mark when it is used on the goods/services covered by the registration. For example – 123® Beauty Therapists. You may not use the ® symbol alongside a mark that is not registered. It is actually an offence to represent a trademark to be registered when it’s not. If you want some clarity on your rights for using registered trademarks, contact us. Mark My Words Trademark Services recommends that annual reviews be conducted on registered trademarks. Not only does this serve to monitor and keep all information current, recording and collecting examples of evidence of the marks in use will be invaluable should you ever face a non-use removal application. As mentioned before if your trademark remains on the register for five years but has not been in use for three continuous years (ending one month before a person seeks to remove it) You risk losing the rights to this trademark. Should you become aware of a non-use /removal application, sudden use of your trademark is unlikely to be enough to prevent the removal, as it may be after the relevant three-year period has ended. When you file an application, it is assumed that you use or intend to use your trademark, in good faith and in accordance with your business practices /relevant goods and services. Whilst less common than above, another party may seek removal of your mark earlier than it being registered for five years on the grounds alleging you had no intention when filing the mark to use it in good faith and have not used it in good faith since. 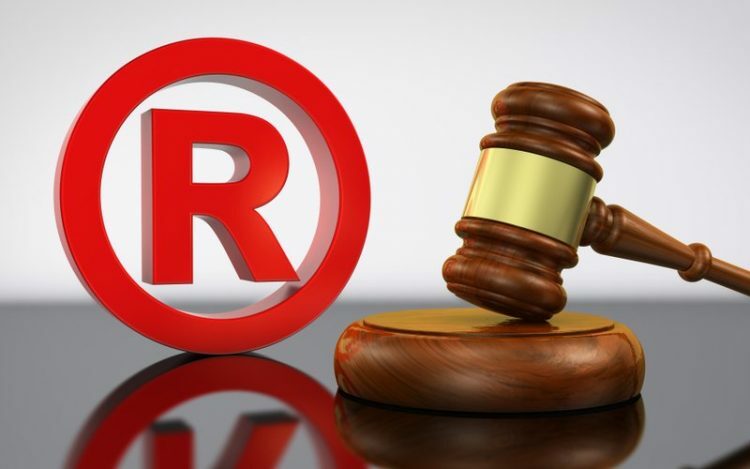 Should you find that you have a trademark that is no longer needed in relation to the goods and services covered by the trademark registration, it is wise to assess whether it would be proper to abandon the mark, or at least the unused part of it. IP Australia permits anyone to apply for the removal of a trademark due to non-use (or no intention to use in good faith), this discourages the registering of trademarks simply to reserve or prevent others from using them. For this exact reason it is important to keep your contact information and details up to date otherwise you may not receive notification that another party is seeking the removal of your trademark before it is too late. This application will disclose certain information such as the number of the trademark and the grounds for removal. The name and address of the person applying for removal as well as the that applicant’s address for service in Australia. Details included will stipulate if the trademark is to be removed for some or all of the goods/services and whether the applicant is aware of any court action pending in relation to the trademark. Should you receive a notice that a removal application has been filed against your trademark you will have an opportunity to oppose that removal application. You will need to file your opposition notice, followed by a statement that sets out basic information around your claims that the mark has been appropriately used during the prescribed three-year time period. The removal applicant may then choose to defend that opposition. In these circumstances, the matter will then be considered an opposition proceeding, which can be a complicated process. In order for negotiations to take place, the opposition may be temporarily suspended when both parties agree to a cooling off period. Mark My Words Trademark Services can assist you. Historically trademark owners’ theoretical control over the licensee’s use of the trademark was seen as adequate enough to establish “authorised use” of the mark by licensees (and therefore, considered use by the trademark owner) It is not considered sufficient to simply have the license agreement in place, rather, the trademark owner must demonstrate they exercise financial control and/or quality control around the use of the trademark and its goods/services. If control is not exercised over a trademark, there is a risk of removal of the trademark due to non-use or the Trade Marks Office and this has been seen in recent decisions issued by the Federal Court of Australia that considered this aspect. Mark My Words Trademark Services can help you to use your registered trademark effectively and clarify any questions you may have about your registration as well as assist in the filing of removal applications or oppositions to removal applications.